Obituary for Barbara Sue (Ray) Goulet | Maloney Funeral Home, Inc.
Winsted: Barbara Ray Goulet, 83, passed away on Friday, January 19, 2018, following a long illness. 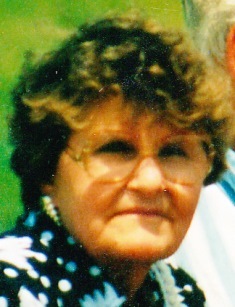 She was the widow of the late Paul D. Goulet, who died in 2009. Born in Verbena, Alabama, April 8, 1934, she was the daughter of the late William and Cora (Whitworth) Deavers Ray. Barbara attended high school in Aniston, Alabama and college at Miami Dade College. She became an RN in Florida and received her Master’s in Medical Management from Western Connecticut State University. She worked for many years and retired from the Winsted Memorial Hospital. 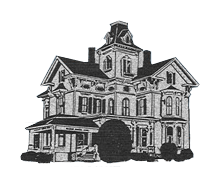 Barbara loved antiques and was part owner of Lucy& Ethel's Antiques in Winsted for several years. She was also an owner of Goulet Printing. She is survived by four sons: Paul E. (Paula) Goulet of Pell City, AL; Dennis (Barbara) Goulet of Winsted; Richard (Joan) Goulet of Harwinton; and Cyril (Lisa) Goulet of Winsted; 10 grandchildren: Paul Joseph, Christopher, Tiffany, Brian, Phillip, Michelle, Olivia, Alec, Cameron and Teryn; and 9 great grandchildren: Mackenzie, Rosemary, Nadia, Sebastian, Nicolo, Caden, Madison, Riley, & Jude. Funeral services will be held at St. Joseph Church on Tuesday, January 30, 2018 at 11:00 AM. Burial will be in the New St. Joseph’s Cemetery in the spring. Friends may call at the Maloney Funeral Home, 55 Walnut Street, Winsted, on Monday, January 29, from 6 to 8 pm. Donations in Barbara’s memory may be made to the Salvation Army, Winsted Health Center, or the Open Door Soup Kitchen. To leave an online condolence, please visit www.maloneyfuneral.com.